Rose Lemonade| Rose lemonade cocktail is a colourful refreshing drink which could be perfect to serve for Valentines Day! 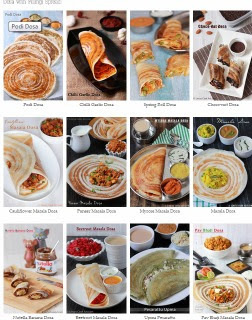 The attactive colour and the flavour is just amazing and perfectly suits the theme. Roses are always special for Valentines day. 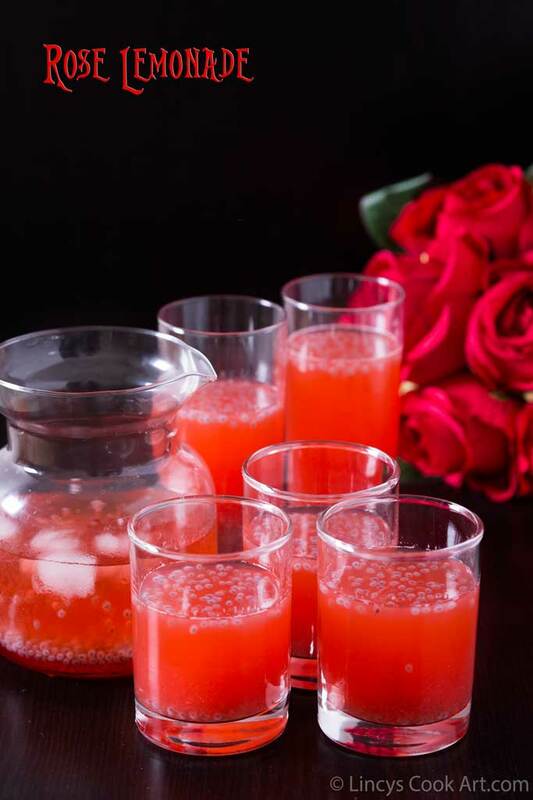 You could make this red colour romantic drink for your valentine this year! This drink is also perfect for the scorching summer to reduce the heat. Easy to make drink without any effort in just seconds. In a bowl or jug add the ice cubes and then rose syrup, lemon juice and sabja seeds. Then add water|soda and mix well. Adjust the amount of syrup and lemon to get the perfect taste according to your taste. Note: You could use cold water instead of ice cubes. 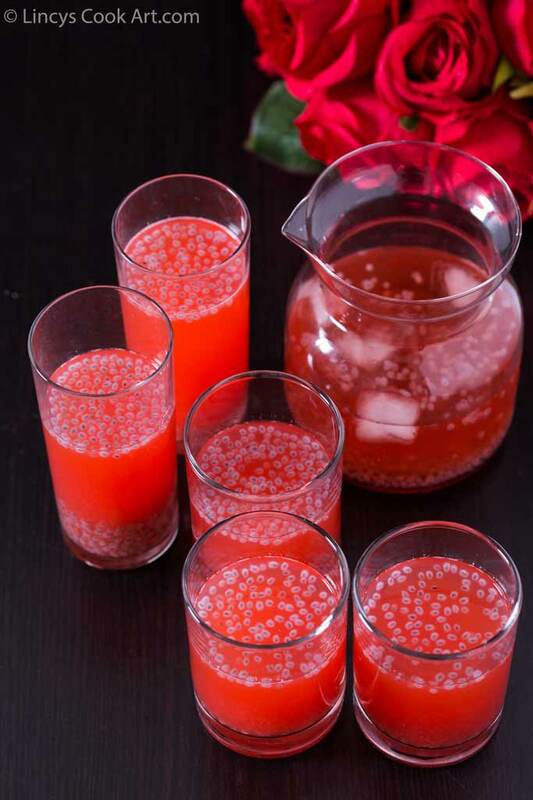 Adding sabja seeds is optional but it adds taste and texture to the drink. You could add a teaspoon of crushed ginger juice to add extra kick to the drink. You could use rose water|essence and sugar instead of rose syrup to make this same drink. Love the color, looks refreshing.